Apple iPad is more than just an entertainment and gaming tablet. It can actually be used to read e-books and PDF documents. 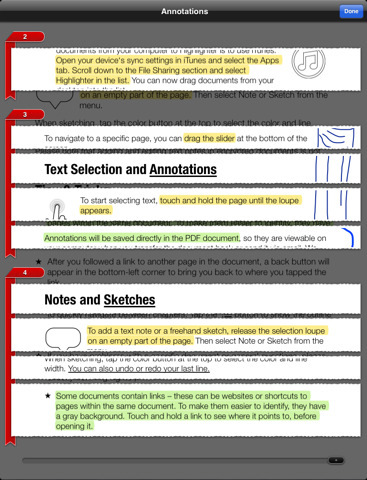 If you are planning to use your iPad to read PDF files, you may as well use an app that supports PDF highlighting. That’s what makes PDF files different than regular books. You can leave all kinds of marks on a PDF document without permanently changing it. You can’t do so with your book. In order to highlight your PDF files on your iPad, you are going to need PDF Highlighter. 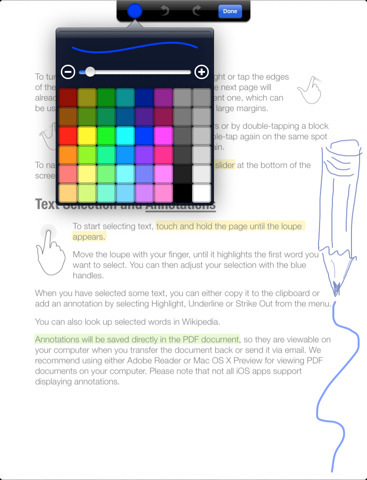 It lets you highlight important passages, add text notes, and even draw sketches on your PDF file. The changes you make can be saved directly to your PDF file, meaning that you can view your changes on your Mac or PC computer when you are done with your tablet. PDF Highlighter is a pretty versatile solution. It supports highlighting and underlining. You can also strike-out certain segments of your PDF documents. 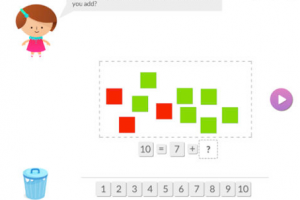 Want to take notes while reading a document? That’s supported too. This application does have an integrated browser, which means you can open links in your PDF file or look things up using Wikipedia. I especially liked how PDF Highligher organizes highlights in a way that saves users time browsing through them. If you intend to use your iPad as a PDF reader tablet, PDF Highlighter is a must have app. It’s a life saver and lets you get more out of your tablet.